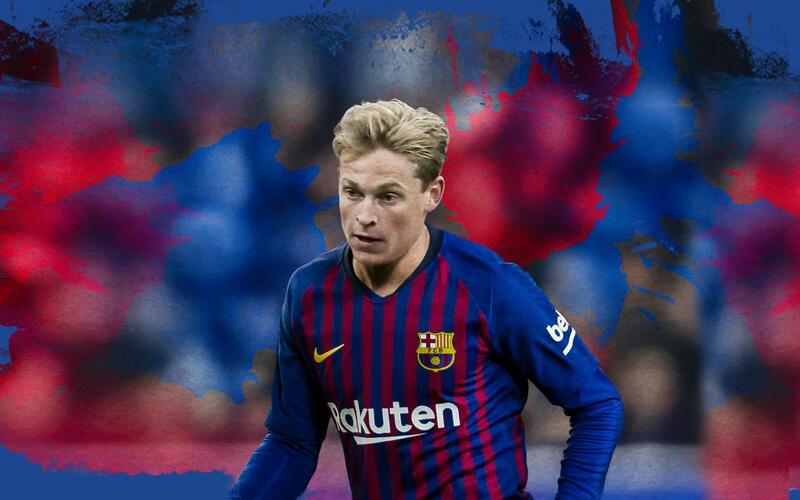 FC Barcelona and Ajax have reached an agreement for the transfer of midfielder Frenkie de Jong, who will be joining the Catalan club from 1 July 2019. The cost of the transfer operation is 75 million euros, plus a further 11 million in variables. The player will be signing a contract for the next five seasons, through to 2023/24. The president Josep Maria Bartomeu and the CEO Òscar Grau were personally involved in closing the deal in Amsterdam. Born on 5 May 1997 in Arkel (Netherlands), Frenkie de Jong is one of the Europe’s most promising midfield talents. At just 21 years of age, he is joining FC Barcelona after proving himself as a polyvalent player with an excellent reading of the game and ability to provide the killer pass. The Dutchman started out in the Willem II academy, but after just one year in Tiburg he caught the eye of Ajax, who signed him to the club in 2015. However, he was loaned back from Amsterdam to his former team to ensure he got enough playing time to fully develop as a player. De Jong then returned to Ajax to lead its reserve team, Jong Ajax, in the Jupiler League. What do you know about Barça's Dutch players? Put yourself to the test with our quiz! A year on from then, he started getting his first call-ups for first team duty, and appeared for the final minutes of the Europa League final against Manchester United in 2017. From there, he went on to become a regular starter, and eventually an essential part of the Ajax machine. Right footed and strong in the one-on-one, Frenkie de Jong can play either as a defensive or attacking midfielder. His wonderful vision and natural ability to find the right pass mean he is the perfect choice as a central playmaker. 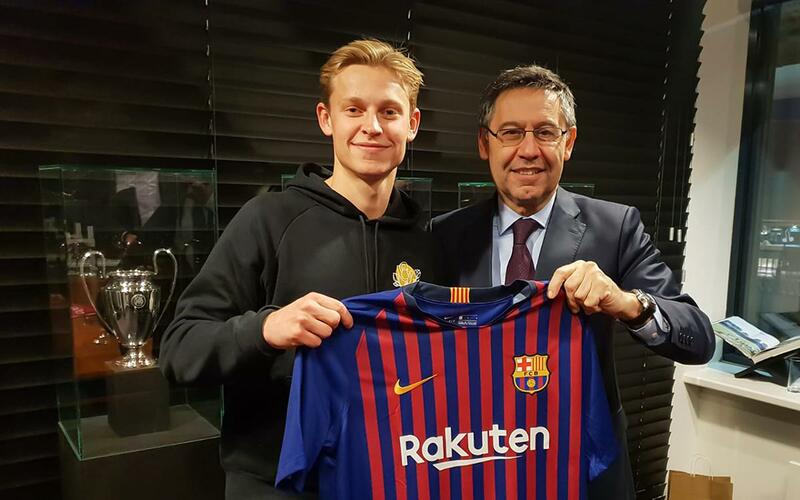 The latest addition to the Barça squad continues a long and successful tradition of Dutch players at the club, going all the way back to the great Johan Cruyff who came to the Camp Nou in 1973, and including such illustrious names as Ronald Koeman, Patrick Kluivert, Frank de Boer and current first team goalkeeper Jasper Cillessen.